Our guide to Dishwashers offers detailed descriptions of companies such as KitchenAid and Electrolux. Better known for its electronics products, this company also manufacturers household appliances with digital controls. High-tech home appliances, including refrigerators with built-in TVs, and washer-dryer combination units that don't require venting are some of the offerings of this manufacturer. Now a brand of Maytag Appliances, Jenn-Air made its name with well-made built-in kitchen cooking appliances. Grills, griddles and cooktops that downdraft make Jenn-Air appliances suitable for use on kitchen islands. 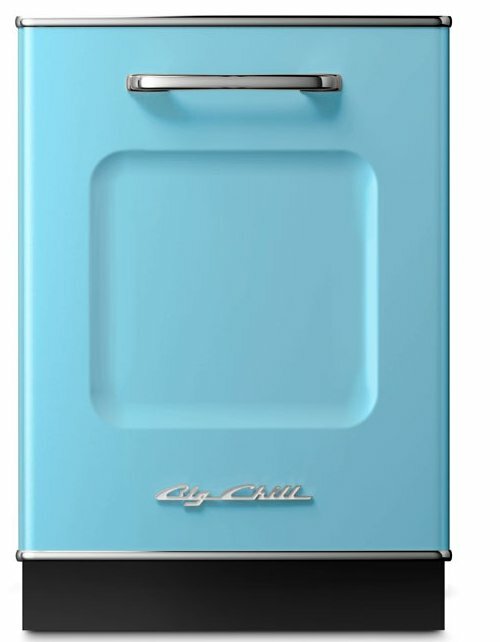 Also available are refrigerators, dishwashers, wall ovens and free-standing ranges. 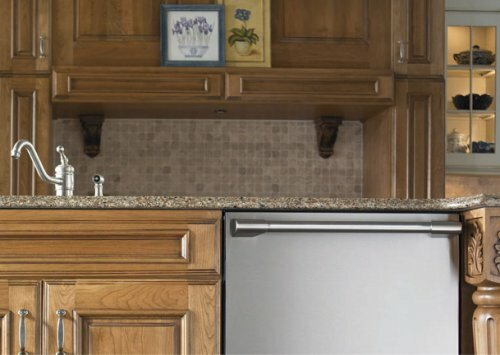 An old, trusted name in appliances, Frigidaire manufactures dishwashers, washing machines, dryers, refrigerators, air conditioners and other household appliances. Energy efficient appliances from this manufacturer include slim-line, manual defrost refrigerators, water-saving dishwashers, and washers and dryers in single units. Known for its stainless steel countertops and sinks for restaurants, this Canadian company also produces apron sinks, countertops and islands for home kitchens. For years Kim Bushey displayed a painting by a local artist on the dishwasher door in her kitchen in her inn on Maryland's Eastern Shore. Customers wanted copies for their own dishwashers, so now Kim reproduces landscapes and other designs on durable vinyl with a magnetic backing that will cling to home dishwashers. Modern dishwasher for a mid-century kitchen. Quiet and sleek, this dishwasher is packed with high-end features.